During CSK's last match against RR, Dhoni lost his cool and rushed to the field to challenge umpire Ulhas Gandhe's flip-flop on a no ball. 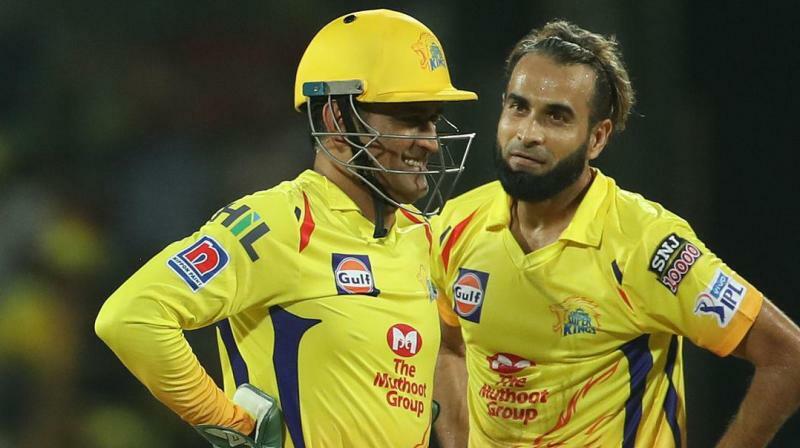 Kolkata: Captain cool MS Dhoni may have been in the eye of criticism for his on-field behaviour recently but for his Chennai Super Kings teammate Imran Tahir, the former India captain remains "a great inspiration". In their last match against Rajasthan Royals, Dhoni uncharacteristically lost his cool and rushed on to the field to challenge umpire Ulhas Gandhe's flip-flop on a no ball. The MS Dhoni Cricket Academy in Kolkata, which has two centres Singapore and one in Dubai, is the 17th branch and first in a metro city in India. The trial is currently on in the age group of seven to 19 for Kolkata centre which will come up in May in Salt Lake. They also have plans to bring up a centre in Basirhat.